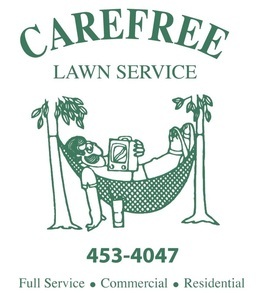 Carefree Lawn Service is a locally owned company serving Grand Rapids and surrounding areas since 1981. We are a full service lawn care company that will meet your lawn maintenance needs. We use only quality products that feature dry, slow release, granular fertilizers and liquid broadleaf weed controls. Products are applied by trained, certified employees that know what products to use and when to use them for best results. We are licensed and certified by the State of Michigan and fully insured. Our goal is to provide you with quality results and service that you can trust and rely on. Relax and let us take care of your lawn this season. We are offering competitive FREE estimates. Call now or request an estimate online. We look forward to meeting your lawn care needs.